The Masters of the Universe movie is moving forward with the writers behind Iron Man. The writing duo of Matt Holloway and Art Marcum are currently in talks to pen the screenplay for the long-gestating new adaptation of the popular toy line for the big screen. Sony Pictures is working on the movie, as they have been for some time, alongside the recently formed Mattel Films, the new movie division of the popular toy company. According to a new report, should Matt Holloway and Art Marcum close their deal, they’ll be the latest to take a stab at Masters of the Universe. David S. Goyer (Man of Steel, Batman v Superman: Dawn of Justice) penned the previous draft. It isn’t clear at the present time if Holloway and Marcum will be doing a rewrite, or if they are going to be starting over from scratch. However, the report does note that Goyer will remain on board as a producer. At one point, Goyer was being eyed to direct the project, but that time has since passed. Aaron and Adam Nee were tapped to direct the movie last April and they’re reportedly still attached at this time. A lot has changed since then, as Mattel, in launching their own movie division, has taken a lot of creative control over the future of their properties and how the adaptations are handled. They recently partnered with Warner Bros. for a Barbie movie starring Margot Robbie. That’s partially why it’s sort of surprising that Sony is still involved, but apparently Mattel doesn’t feel the need to keep all of their properties under one studio’s roof. In any event, this is good news for those who want to see He-Man back in action. Related: Masters of the Universe Fan Art Proves Channing Tatum Is the Perfect He-Man? He-Man and the Masters of the Universe started out as a toy line in the 80s that was eventually adapted into a very popular children’s TV series in 1983. 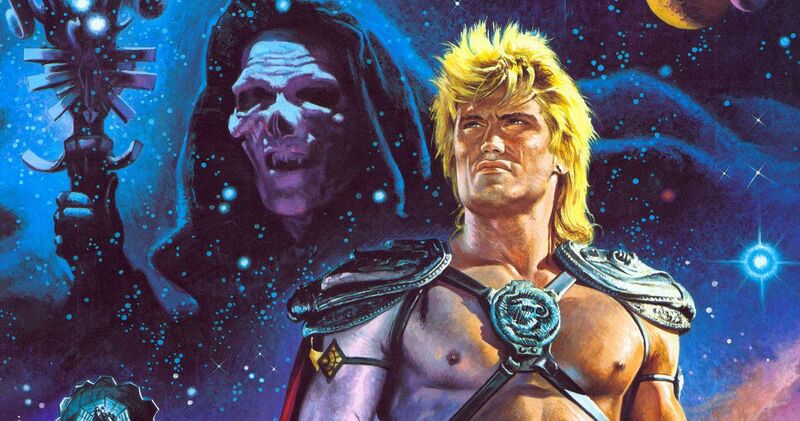 Four years later, a live-action movie was made starring Dolph Lundgren as He-Man and Frank Langella as his arch nemesis Skeletor. Though there are those who have fond memories of the 1987 movie, it is not a particularly well regarded adaptation, to say the least. Also tainting that film’s legacy is the fact that its director Gary Goddard has been accused of sexual misconduct by several former child actors, including Top Gun and ER star Anthony Edwards, who wrote an essay about his abuse at the hands of Goddard. For years, there has been talk of a reboot, but nothing has ever materialized. In addition to Iron Man, Matt Holloway and Art Marcum also worked on Punisher: War Zone, Transformers: The Last Knight and, most recently, Men In Black: International, which also happens to be for Sony. The studio must have liked what the duo came up with. For what it may be worth, the writers are also attached to the next proper Transformers movie, which will follow in the footsteps of Bumblebee, which got the series back on track critically. Currently, there is no release date or casting information available for Masters of the Universe, but we’ll be sure to keep you posted as any further details on the project are made available. This news was first reported by The Wrap.